Last week, I returned from my annual Mother & Daughter trip. This year’s destination: Orlando & Miami. Obviously the main reason we went to Florida was to go to Disney World. Everyone had asked me if I had been before, this would be my first time. I went to Disneyland when I was 4 years old, but I don’t remember very much. 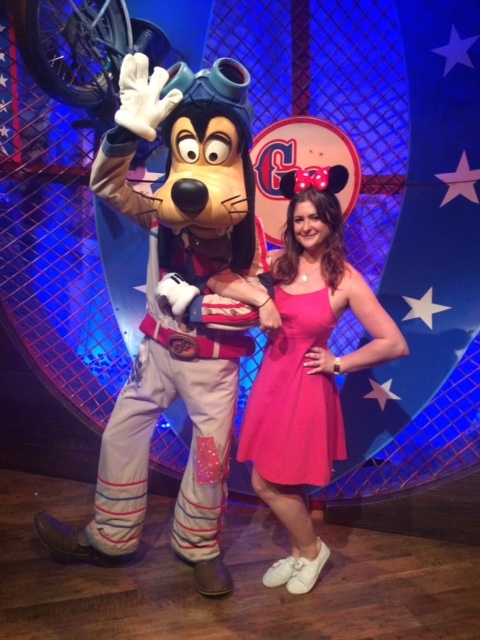 I was a little skeptical of going to Disney as an adult, especially visiting without children. Would I be too old? Will I enjoy myself? Is Disney just for kids? I was soon to be able to answer my questions. Magic Kingdom was the main park I was skeptical about, being the park with Cinderella’s castle and focusing mainly on the classic Disney characters. All I can said that after purchasing my Minnie ears and walking up to the castle, I’m glad I was wearing my sunglasses because I definitely teared up out of pure joy! 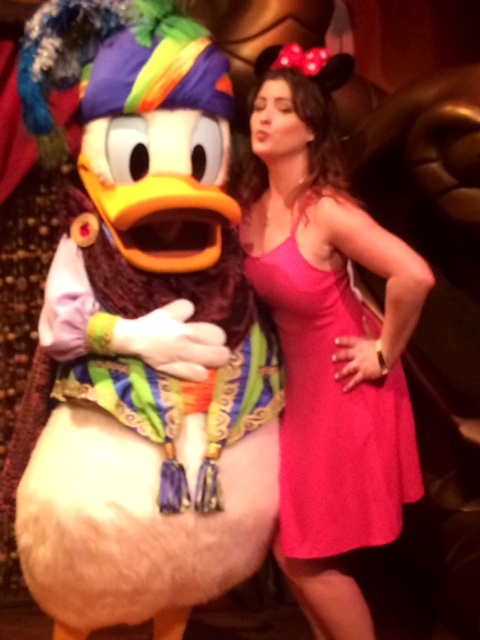 While watching the show with Mickey, Minnie, Donald, Daisy, and Goofy, my childhood came rushing back and overcame me. It was the best thing ever! Meeting Goofy and Donald Duck was funny as hell! Not because I met them, which was still pretty cool, but witnessing the little girl behind me get all excited to meet her favourite Disney pals! That pure joy was priceless! Even if the rain came near the end of the day, we still managed to ride the Mad Hatter’s Tea Cups, Space Mountain (3 times), the Monster’s Inc Laugh Floor and the Pirates of the Caribbean ride; this was the best day of the trip! Epcot was just ok for me. The weather could have played a huge part in my experience. It. Rained. All. Day! The best part of Epcot was having the opportunity to watch a preview of the new Disney movie Inside Out, which will be released June 19, 2015. Hollywood Studios was pretty cool! We watched two stunt-devil shows, Indiana Jones Epic Stunt Spectacular and Extreme Stunt Show involving car chases and motorcycles! 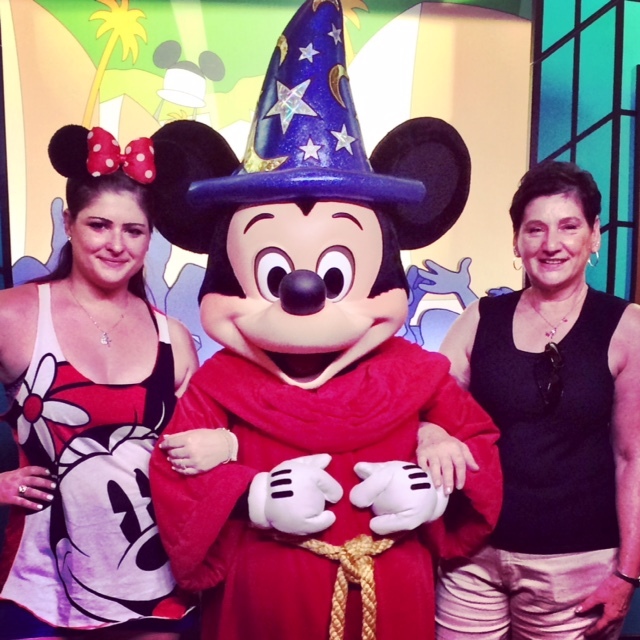 Mom and I met Fantasia Mickey, but the best part of Hollywood Studios was the live performance of Beauty and the Beast. Remember that rushing feeling of my childhood that I mentioned earlier? Well it happened again! Sitting front and centre, surrounded by children, I was so overcame with excitement and happiness that I was fighting the tears forming in my eyes. Beauty and the Beast was one of my favourite movies growing up, a close second to the Little Mermaid. The show was unbelievable! 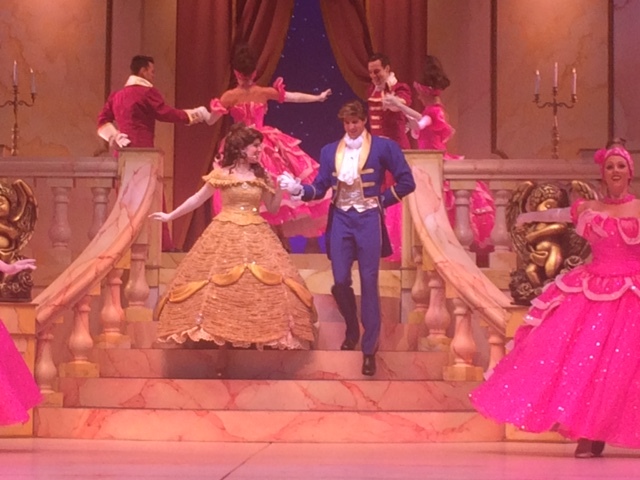 I highlight recommend that everyone should see this show if you are ever visiting this park! The mains reason we visited Universal Studios was purely for Harry Potter World. Having read all the books and seen all the movies, you can call me a fan. I had two goals for this trip, get Minnie Mouse ears and get a Harry Potter wand. I already had the ears, it was time to get the wand! We experienced the wand choosing ceremony, and I left with Hermione’s wand. They did such an incredible job that you actually feel like you are walking the streets of this magical world. 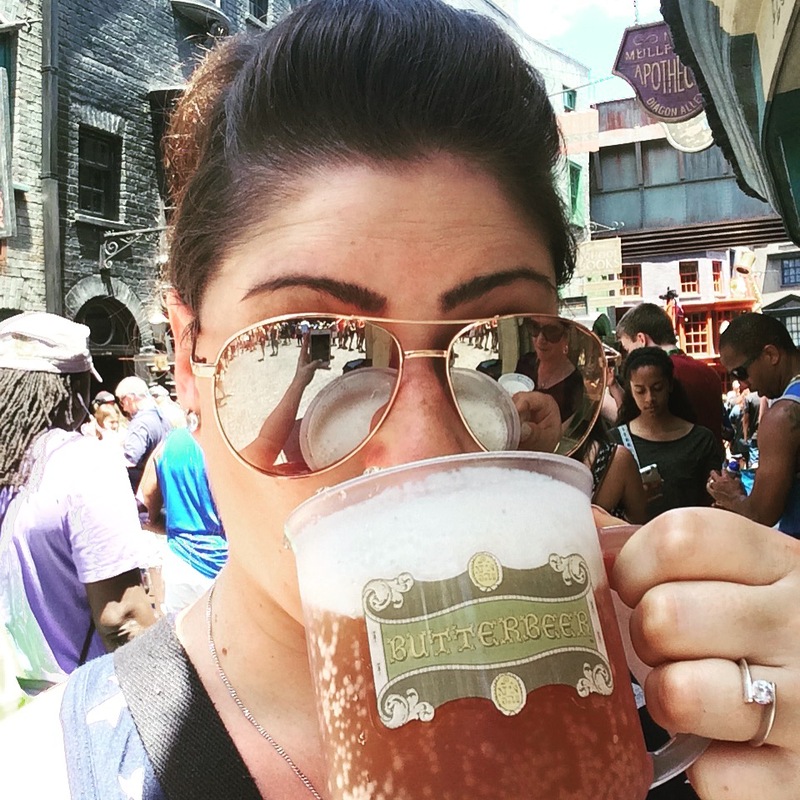 And the Butterbeer… one of the sweetest, most delicious things I have ever tasted! Harry Potter World wasn’t the only thing we did, walking through the Jurassic Park section was kinda cool! Also, walking in Springfield seeing Moe’s Tavern and the Duff brewery made me wish the man was with me as he is a huge Simpsons fan. The best ride was the E.T. ride – I was so afraid of that movie when I was a kid, it had to be done! 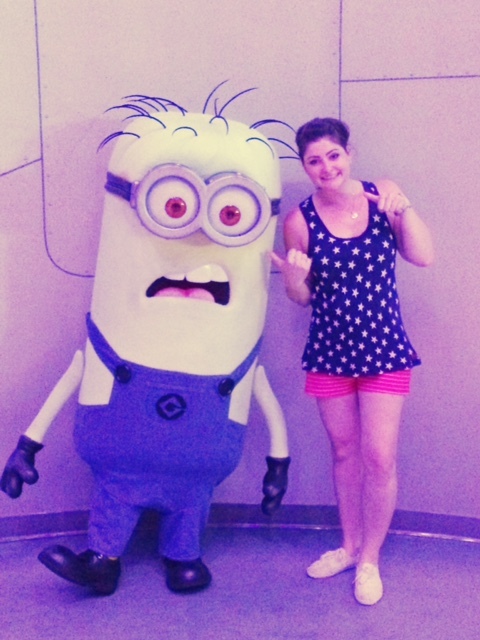 And I also got to meet a Minion! They’re my favourite! For mom’s birthday, we visited the Kennedy Space Station. The day started with a bird landing on my head birds had it out for me this trip) and finishing with a greater fascination of the space programs, past, present and future. 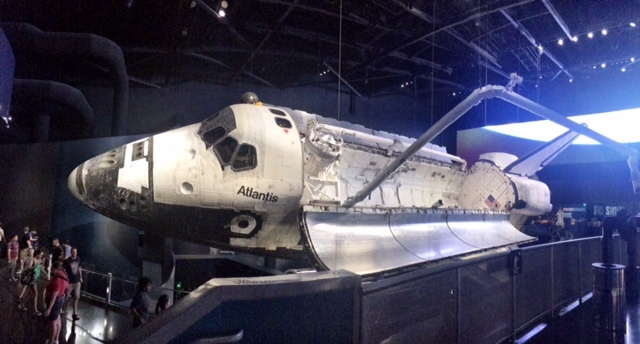 We took the bus tour to the launching pad where Apollo 8 resides, and got to see the Space Ship Atlantis up close. This thing is huge and really puts things into perspective. 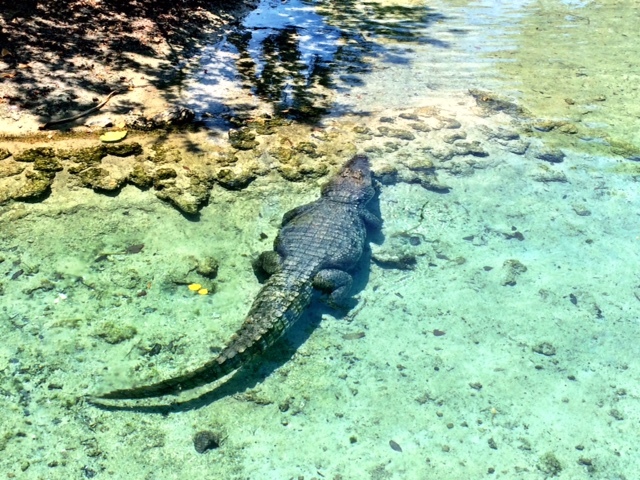 We took a tour of the Everglades with Gator Park and got a chance to get up close and personal with gators! 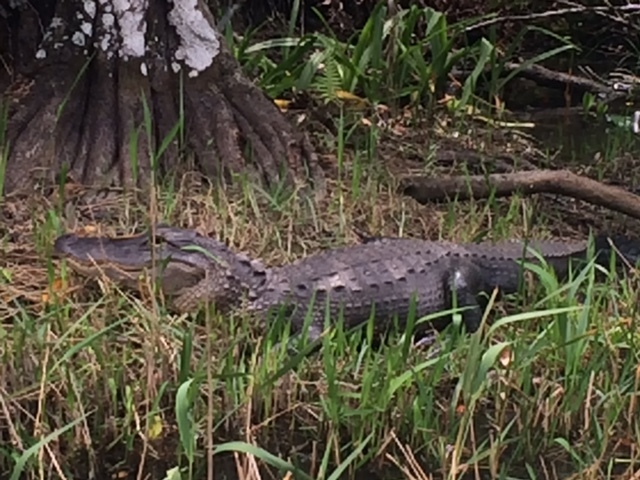 I was fortunate to be sitting on right on the side of the boat where all the gators were, arm’s length away. After the boat tour, we got a gator show where he explained a lot about alligators, scorpions, and frogs. 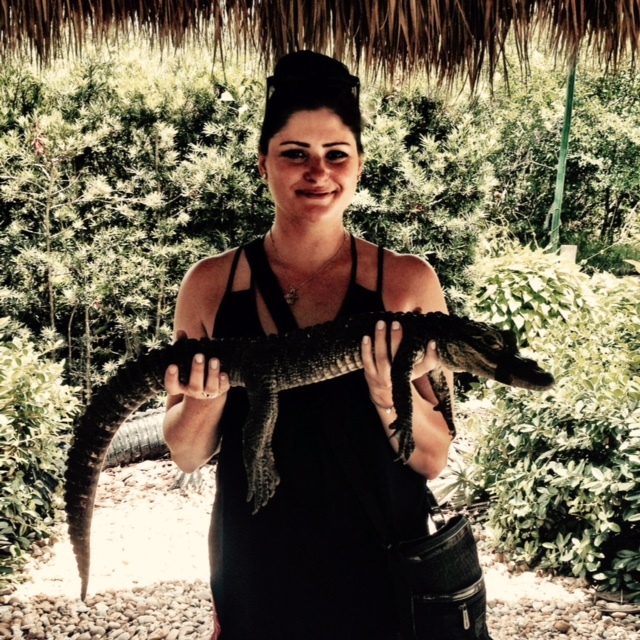 My favourite part – getting to hold a 3 year old gator. 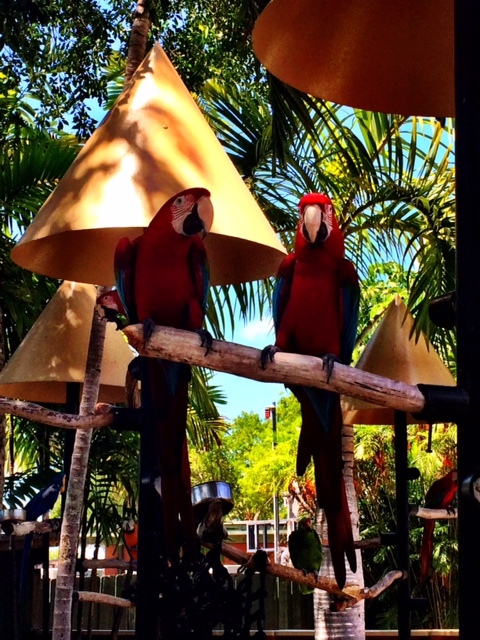 Jungle Island was the best pretty incredible! The birds were everywhere! Remember my mentioning birds? Well encounter #3 happens here. 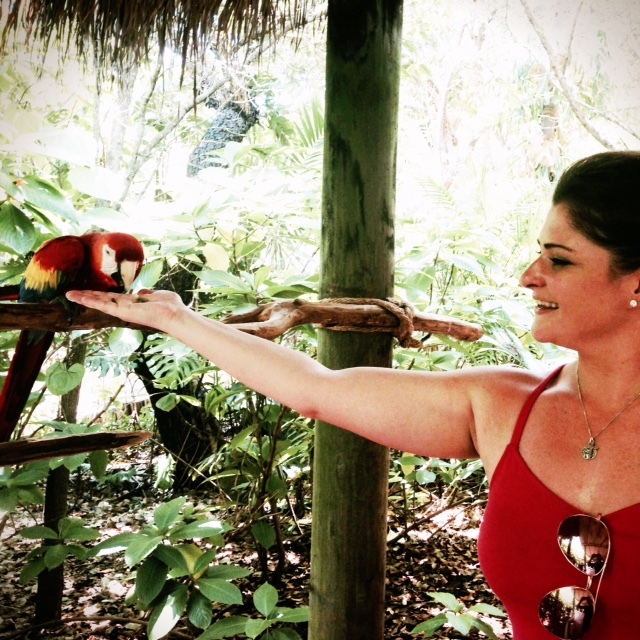 I enjoyed feeding the parrots that were perched throughout the complex, but a word of advice – make sure your photographer is ready before you put your hand up to feed them because if they aren’t and you have to “re-pose” multiple times, the bird will get mad and bite you! Thanks Mom! 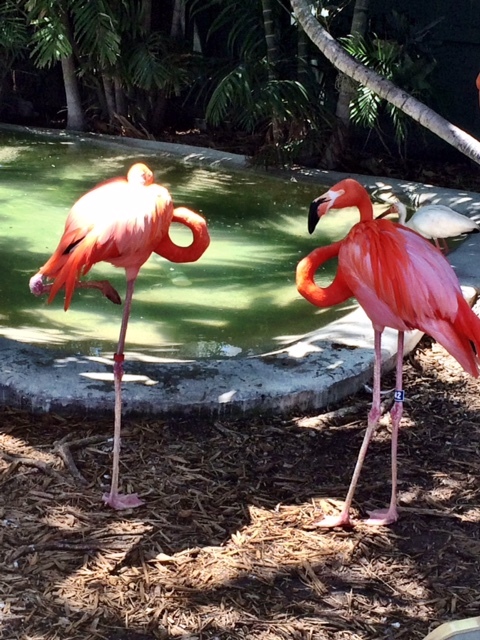 We saw crocodiles get testy with each other, 106 year old turtles, monkeys swinging around and even penguins. There was also an up close encounter with lions, tigers and wolves. I am chicken sh*t when it comes to the ocean, sharks aren’t my favourite, but dolphins are. 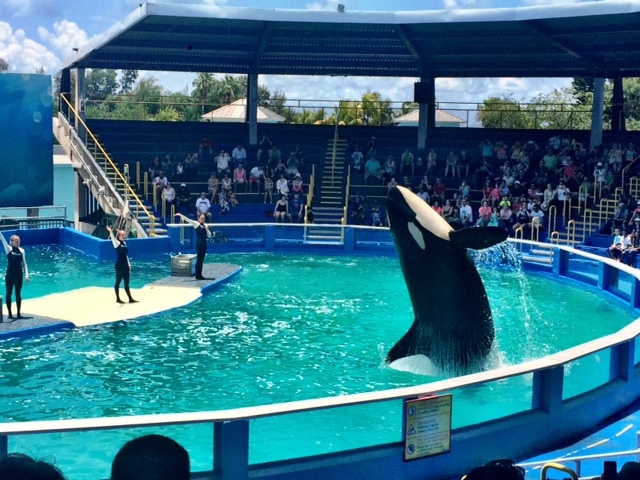 I have had the pleasure of swimming with them in the past, therefore visiting the Miami Sea Aquarium brought back the memories of swimming with these unbelievable animals. Not only are there dolphins, we saw hundreds of different types of fish and mammals. 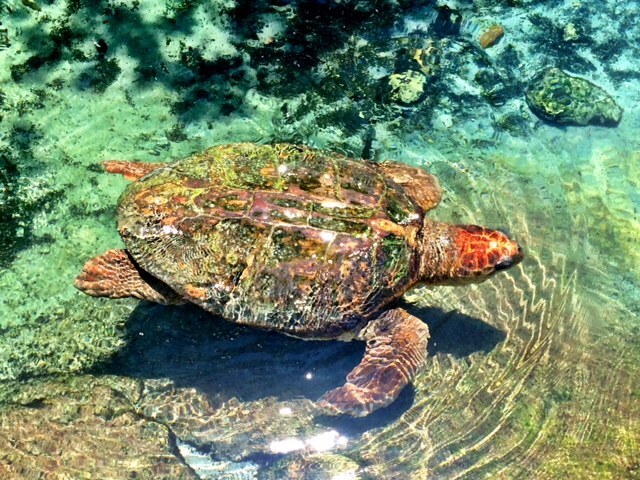 The rescue work they do with turtles and manatees is incredible.